How you look is as important as how you feel. Anti-Aging and Functional medicine we specialize in aesthetics with Sclerotherapy for Spider Veins and Juvederm & Restylane dermal filler injections. There is never a Physician’s Assistant, Nurse Practitioner, or medical assistant to perform your aesthetic injections. Juvederm & Restylane are naturally occurring injectable agents used for lip enhancement and to soften facial lines and creases. Facial aging includes thinning of the lips, deepening of the nasolabial folds and the development of lines running vertically downward from the corners of the mouth. Juvederm & Restylane injections can, in many cases, instantly and dramatically improve these features. Juvederm & Restylane can also improve some depressed scars, vertical lines around the mouth, and other facial soft tissue abnormalities. Our patients see immediate results following dermal filler injections. Most popular fillers are temporary lasting 6-12 months. Sclerotherapy is the injection of a sclerosing agent directly into the spider veins that causes irritation to the walls of the vessel resulting in a sclerosed or non functioning vein. During the healing process, blood stops flowing through the vein and thus the vein is less apparent. This typically requires multiple treatments of the same vein(s). There are many different sclerosing agents used however, at Anti Aging & Functional Medicine, we use Glycerin, which is less painful and with fewer side effects. To schedule an appointment or to learn more contact us at 919-615-0577, Today! Dermal Fillers are non-surgical procedures that are long-lasting. The duration of the improvement varies from patient to patient, averaging about six to twelve months. The aesthetic improvement is immediate and appears natural with minimal recovery or downtime. 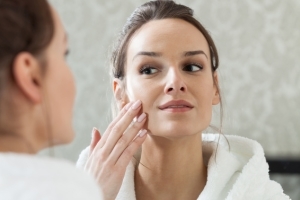 Q: How Long does the dermal filler treatments last? A: Treatments for dermal fillers last 6-12 months. Q: Are dermal fillers painful? A: The procedure is minimally invasive and produces a slight discomfort. We use very small needles which lowers the sensitivity. Q: Are dermal fillers safe? A: Both Juvederm & Restylane the products dermal fillers we use consist of Hyaluronic acid. Hyaluronic acid is a naturally occurring substance in your skin that provides fullness and elasticity.